If you’ve been looking for a low-cost 4K TV with HDR—and Dolby Vision HDR at that—TCL’s new TV lineup might just hit your sweet spot. A 50-inch P-Series 4K LED TV with Dolby Vision HDR will sell for just $500 when it launches later this spring. TCL might not have the name-recognition as a Sony or a Samsung, but when you’re looking for a TV with lots of features at a low price, the company has a lot to offer. Since 2o14, TCL has worked with Roku to build Roku software into its smart TVs. 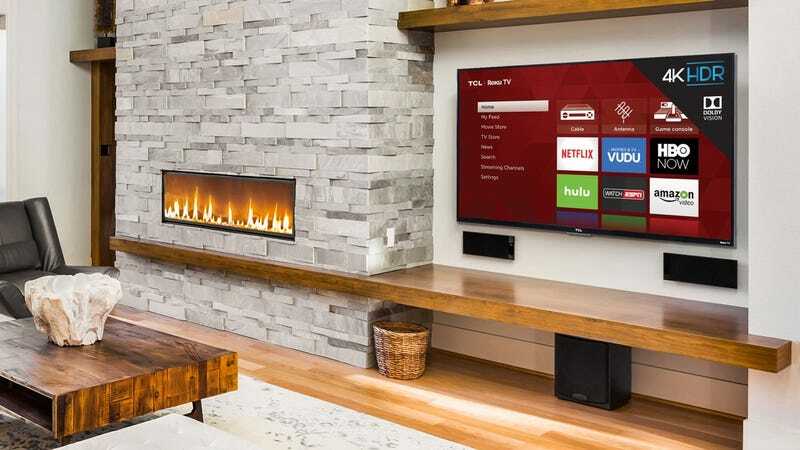 Last year, we really liked TCL’s 4K Roku TV, especially at its low price point. For 2017, TCL is bringing HDR to its Roku TV lineup. High-dynamic range (HDR) is a big trend in more expensive TVs, but we’ve slowly watched it eke its way into cheaper sets. The key with HDR is that you can get more dynamic colors, blacker blacks, and see the more subtle details when watching movies or TV shows or playing video games. But not all HDR is created equal. There are several HDR standards right now, the two biggest being HDR10 (which launched last year), and Dolby Vision. If you’re trying to stream something or play a game that is encoded in an HDR format that your HDR TV doesn’t support, you’re out of luck. Right now, movie studios and streaming services like Netflix are gravitating towards Dolby Vision. Live TV content tends to support HDR10. TCL’s C-Series (it’s “designer” line of TVs) and P-Series Roku TVs will support Dolby Vision and HDR10, so you don’t have to worry. TCL’s C-Series and P-Series Roku TVs will also support TCL’s 4K Creative Pro upscaling that we praised last year—so your non-4K content will still look sharp, three HDMI 2.0a ports with HDCP 2.2 and 802.11ac wireless, and ethernet. And of course they run the latest version of Roku’s software. The P-Series is available in sizes from 50-inches to 65-inches. The C-Series will be available in sizes from 49-inches to 75-inches. If you want an HDR TV but $500 is too expensive, TCL’s Roku TV S-Series might fit the bill. These TVs won’t support Dolby Vision, just HDR10, but they come in sizes ranging from 43-inches to 65-inches. There is no word on specific pricing, but TCL’s current 4K 43-inch TVs sell for $400.